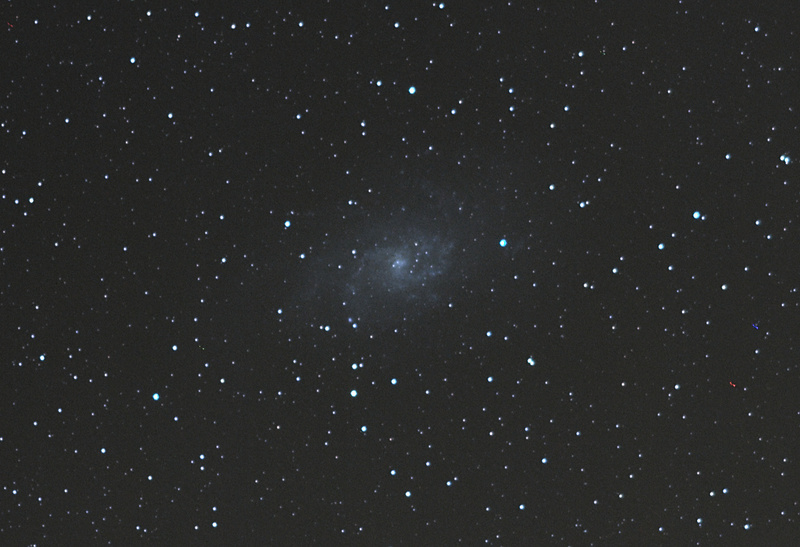 I failed at shooting the Triangulum Galaxy the last time, but now I had a bit better conditions. Seems like the 150 second exposures before were result of a extreme luck with alignment. This time even 120 s seemed to trail a bit but 100 second worked. Here's 10x100 seconds stacked with Mosstack. Full photo in https://flic.kr/p/pHia6c and Astrobin entry here http://www.astrobin.com/129577/. Seems like focus was off. I adjusted it after this stack so the rest objects are more sharp. I'm actually a bit surprised to get that much color on the photo. Stacking with IRIS gives even more blue, but I'm trying to process all my photos with my own stacker. I use IRIS for comparison only. Here's what IRIS was able to do. Post processing is done with Darktable so full processing with open source software only. 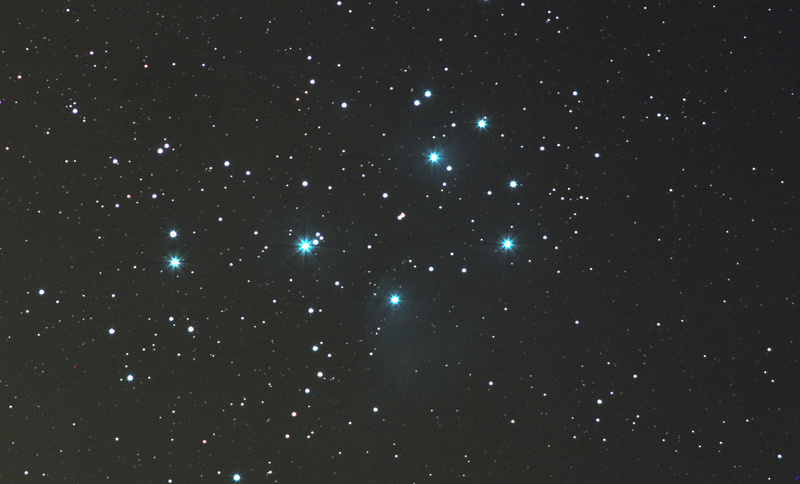 I took couple of shots at Pleiades just to see if I can get any nebula visible. There indeed is some and it's blue. There always could be more so more photo sessions required with this object. Full photo here ￼https://flic.kr/p/pr8VMw and Astrobin entry here http://www.astrobin.com/129580/. 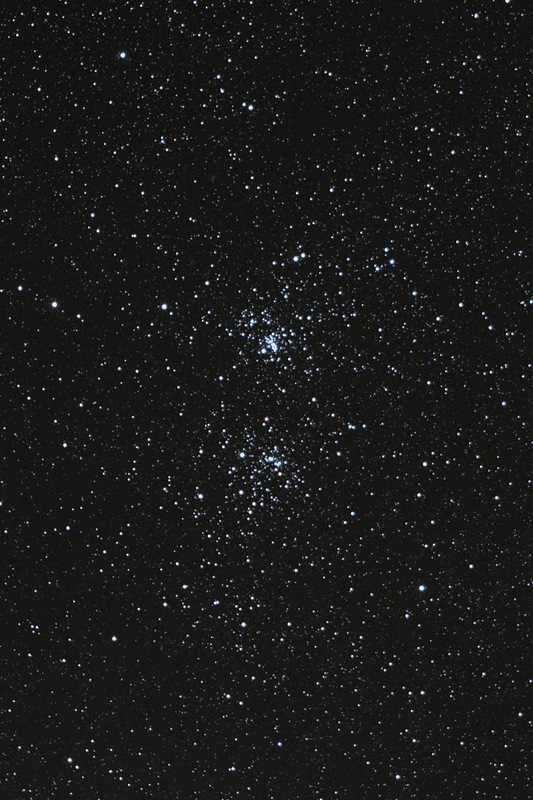 And now something without any nebulosity: the Double Cluster. I had shot this one before as well and my idea was to compare these two to see the development of my gear and me. The previous photo is here and full version of the new here.